Hey, it's another disc set! 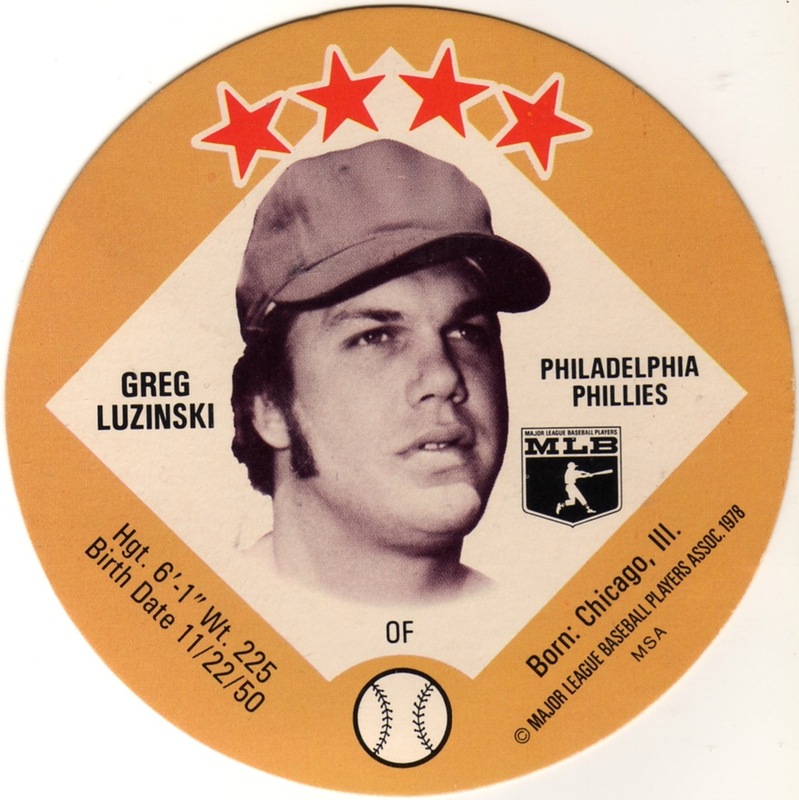 After yesterday's post about 1976 Sportstix stickers, round cards are on a roll. On a roll! Because they're round. 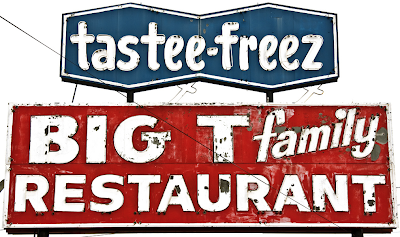 Big T / Tastee-Freeze restaurants serve "classic" American fast food, similar to larger chains like Dairy Queen. Wonder what that light stain on the Luzinski disc (just below the #5) came from, a burger or the milkshake? Love these old restaurant signs, though this one's for a Big T awaiting demolition. According to Wikipedia, you can still find Tastee-Freez shops scattered across 22 US states. Value: Single discs cost a few dollars and HOFers--Palmer, Carew, Seaver, Brett, etc.--run somewhat more. I had a tastee freez just up the road from my old apartment. I believe that it's the only Tastee-Freez in the whole state of Alaska. 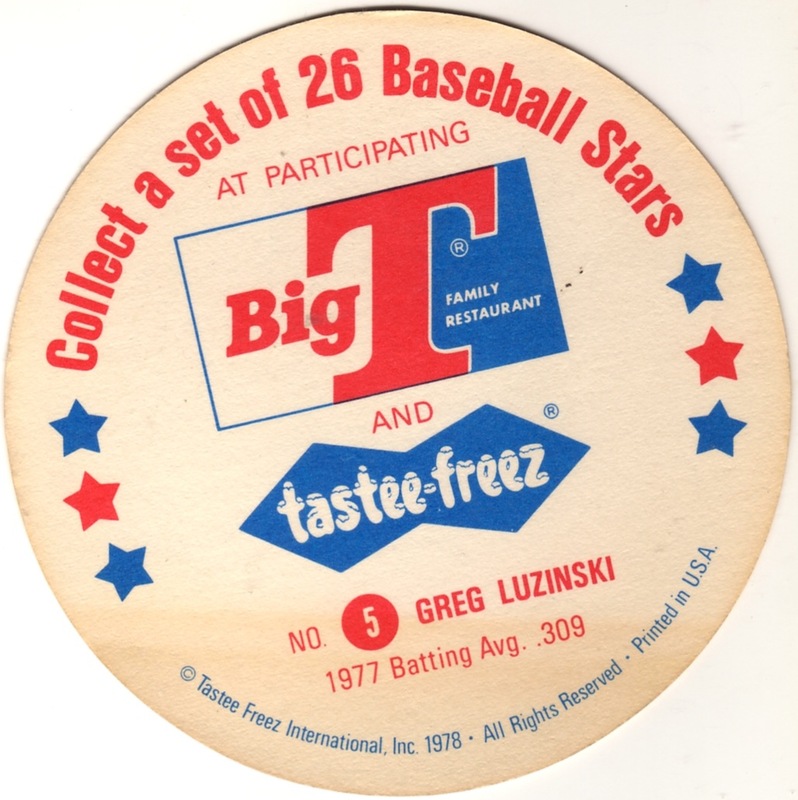 I haven't thought about Tastee-Freez in many, many years. I don't remember the Discs, but I do remember the ice cream. My first job was at a Tastee-Freez in small town Indiana - straight out of a Johnny Cougar song. I was paid $1 an hour for the first week - a "training wage" I was told. I was supposed to get a raise after that first week but landed another job just in time. Van Lingle Mungo in cards?